Windows 8 contains a completely revamped backup system. Windows 8’s File History replaces Windows 7’s Windows Backup – if you use Windows Backup and update to Windows 8, you’ll find quite a few differences. Microsoft redesigned Windows’ backup features because less than 5% of PCs used Windows Backup. 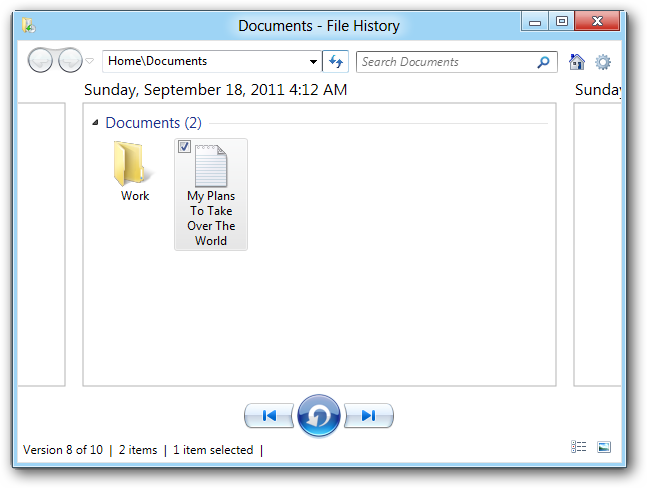 The new File History system is designed to be simple to set up and work automatically in the background. This post will focus on the differences between File History and the Windows Backup feature you may be familiar with from Windows 7 – check out our full walkthrough of File History for more information. With Windows 7, you can back up any files on your computer – not only personal files, but program files, system files, and anything else. You can also create full system images that can be used to restore your computer to its current state in the future. There’s been a major philosophical change in Windows 8. You can no longer create full system images, nor can you back up everything on your hard drive. Instead, you can only back up files in your libraries, files on your desktop, your contacts, and your browser favorites. Windows 8’s File History feature is designed to protect users’ personal files, which are generally irreplaceable. In contrast, there’s less need to back up system files because operating systems and applications can be reinstalled from elsewhere. If you want to back up a folder elsewhere on your hard disk, you can add it to a library and tell Windows 8 to back up that library. You can exclude certain files in your library from being backed up, but you can’t include files outside your libraries or desktop. File History is designed to back up your files on a continuous basis, so you can easily revert to a previous version of a file or restore a deleted file. This also minimizes data loss – if your computer goes down and you lose all your files, you’ll lose very few files as they were recently backed up. 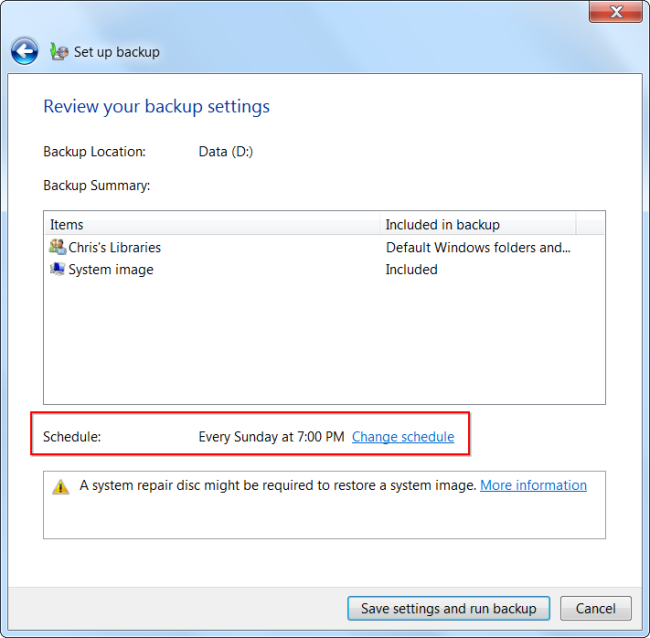 When setting up a backup with Windows 7’s Windows Backup, the default schedule is to run a backup once per month. 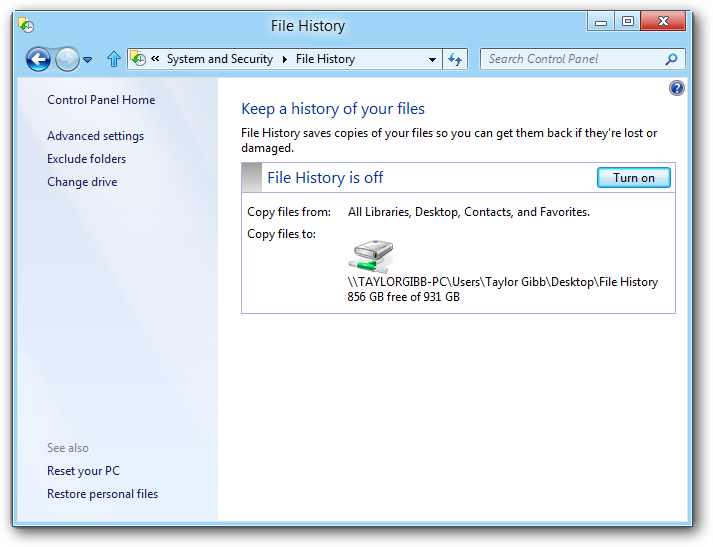 File History incorporates the Previous Versions feature in Windows 7, which allows you to quickly restore previous versions of a file. Restoring files from File History is a similar experience. You can do it right from File Explorer (formerly known as Windows Explorer) – just click the History button on the ribbon. 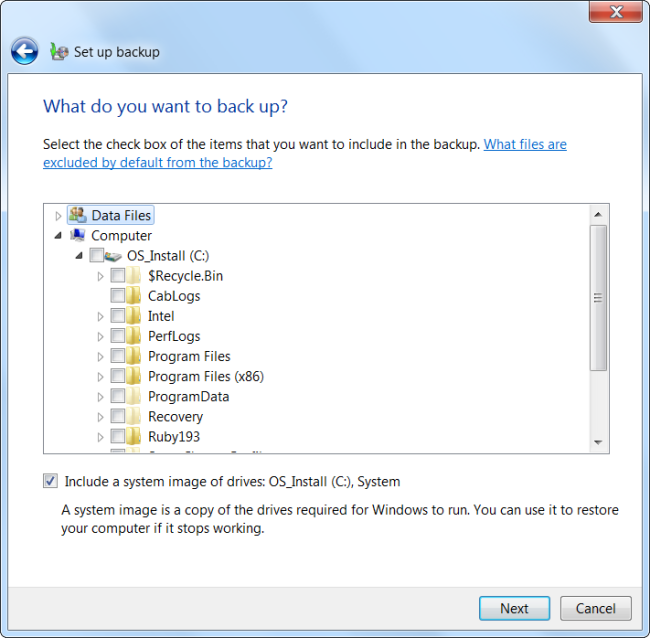 In Windows 7, you have to open the Windows Backup control panel and use the Restore My Files wizard to restore files from a backup. 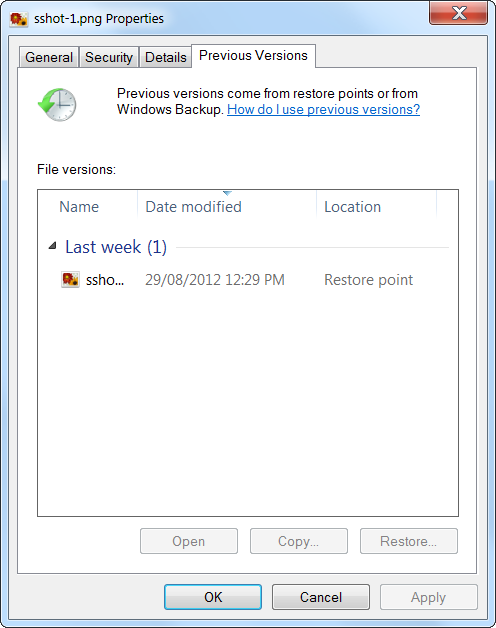 You can restore a previous version of a file by right-clicking it and using its properties window, but this previous version of a file may come from elsewhere, such as a system restore point – not necessarily from a backup taken with Windows Backup. Windows 8’s File History also has some other features that work with the way people actually use backups. For example, it’s easier to set up – when you connect an external hard drive, you’ll be asked whether you want to use it for backup. You can no longer use an internal drive for backups – you’ll need an external drive or network location. This helps enforce good backup practice – there’s no sense backing up your files to another partition on the same hard disk; you’ll lose everything if the hard disk fails. 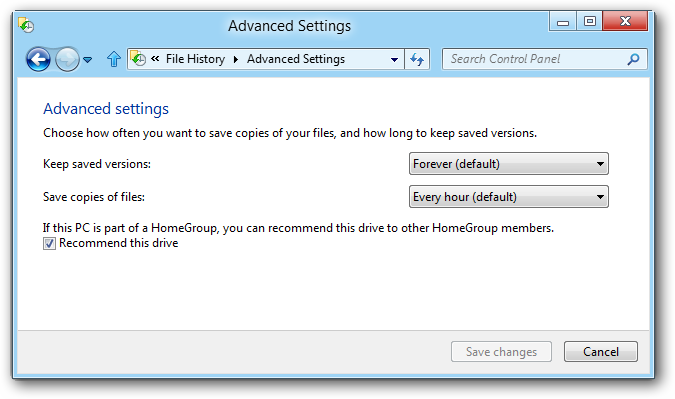 When setting up File History, you can optionally advertise your backup drive as a backup drive for your HomeGroup. All Windows 8 computers in your HomeGroup can back up their files to this location, making it easy to set up a centralized backup location. File History certainly isn’t for everyone – some users will want third-party backup applications that can take full system backups and back up every file on their hard drives. However, Windows 8’s File History backup feature is easier to use and may be more useful for the average user than Windows 7’s comparatively clunky tool.